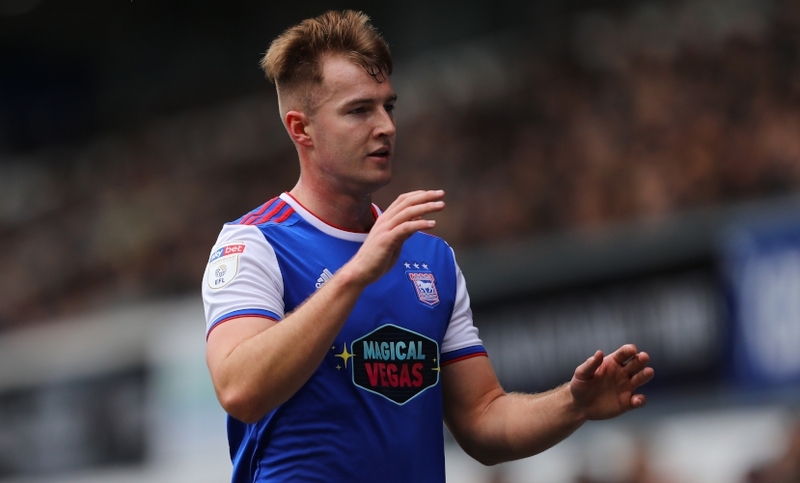 Blues loanee James Bree believes Town will return to the Championship at the first attempt if they are relegated to League One, as now appears almost certain. The Blues remain 13 points plus goal difference from safety following Saturday's 1-1 home draw with Nottingham Forest with only eight matches left to play. “We have shown in the past few games how we can hold our own against any team in the Championship,” the on-loan Aston Villa man said. Saturday’s 1-1 was the sixth of Town’s last seven matches to have ended in that scoreline with the Blues again deserving more than just the single point. “We are disappointed in the changing rooms that we didn’t come away with all three points,” he continued. Town haven’t kept a clean sheet since Bree, 21, joined on a half-season loan from Villa in January, which he admits needs to change. Bree, who played a role in Collin Quaner’s fifth-minute opening goal for Town, didn’t put too much blame on referee Keith Stroud’s performance for the Blues not claiming all three points, despite having been denied what looked an obvious penalty and a Jon Nolan strike having been chalked off. “No, it is easy to blame the ref, and he made a couple of decisions didn't go our way but we had chances to win and we didn't take them. We have to do this ourselves,” he said. “I put a couple of decent balls in to the right areas and you hope someone will get on the end of them. Bree, yet to be on a winning Town side in his eight appearances for the Blues, says he’s learning a lot from his time at Portman Road. “For me it is about getting games, gaining experience, especially here at this moment with the situation we are in when we must win every single week. There are eight games left and we have to win every one of them. “I have not been in this sort of situation before so it is about learning for me. The biggest lesson is having that extra bit of resilience. Bree admits he can see why he might be left out of the team once relegation is confirmed so players, particularly young players, who will be here next season can gain some experience. “Obviously I would like to play every game but with the situation we are in you can understand why the gaffer will do that,” he said. Forest’s Matty Cash was disappointed that ex-Blues striker Daryl Murphy’s goal just before half-time was wrongly ruled out. “We played well in patches but we were unlucky and the ref cost us with a couple of decisions. Murphy’s goal for example was not offside,” he said. He added: “We watched the incident played back and it was definitely onside. That could have been the break which would have given us the three points. Only if we sign a goalscorer. If we don't, it'll continue to be a struggle. At least we haven't got three decent strikers we can get rid of this close season. Lol, "being here is like being at Barnsley" !! He was doing so well until that point! All the sides being relegated think that they will bounce straight back, unfortunately that does not normally happen. Until we sign players to provide the goals once supplied by waghorn and garner all thoughts of bounce back can be forgotten. Our current crop of strikers appear unable to supply the necessary goals and with the leaky defence it is a lot heavier need for them to supply them. I think hard work, hard work, organisation and a striker will give us a chance but if we go into next season thinking that we are better than the other teams then we will fail. Flynn Downes 'I'm a Championship player so must be better than you 'attitude at Accrington was an example to learn from. "being at Town is more like being at Barnsley". Sad but true, but Bree won't be at Town next season so please start playing Emmanuel. ronnyblue is right in saying that (nearly) all relegated teams expect to bounce back straight away; but I do think we have certain elements in our favour to achieve it. We know who our manager will be & how we are going to play; also he is already in place & is working on the squad for next season now. Many relegated sides go down in turmoil, with uncertainty as to their future direction taking up a lot of the summer; the calamity of our season just gone means that we have already gone through that & are (apparently) out the other side. We also have to look at our form over the last few weeks. Yes we are going down & we may even finish bottom, although I suspect we'll catch Bolton, but we are far from being the worst team in the Championship at the moment - yes of course we deserve to be where we are over the course of the season, but my point relates to how good we are going into next season. There's a confidence about the side that you rarely get from one that is going down, there's a belief about us that will stand us in good stead in getting off to a good start & the majority of the supporters are getting behind the team still. So many clubs coming down are so bereft of confidence, belief & even will to succeed after a season of losing, that it can hamper them again the following season, even in a league where that have far superior quality players - I don't see that happening us at all next season under Lambert. Now of course this will all change if the owner sanctions mass sales & provides nothing for transfers in, but I don't see that happening, even with our notoriously tight owner. 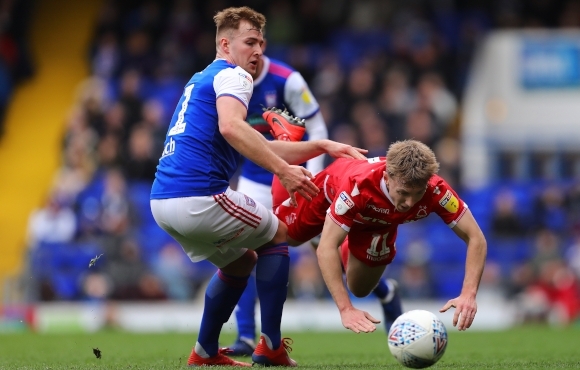 We have some really decent footballers in our squad, particularly the young players, & relegation always brings out the vultures - we ourselves have picked over the carcasses of relegated sides plenty of times - but we must ensure that Lambert gets to hold on to the talent he sees as being important to Ipswich Town, not just next season, but also when we get back to the Championship & make a push back for Premier League football. Barnsley on a par with Town?? I don’t think so Mr Bree. St, Cdm and a CB to have chance. Depends on the playing staff we have. Seeing as Bree says 'They' rather than 'We' indicate he's not intending to stay. Let's not be too complacent, League 1 will be hard work and we have to earn the right to be called favourites. On day 1 everyone is equal. He is as much an authority as you are. Excellent summary from Len Brennan. We should all be feeling bereft that we are going to be relegated but many of us don't because of the factors highlighted by Len. Some of Hurst's signings are coming good, add our own home grown talent plus a few of our older pros and we have a good blend. Mentally, there should not be too much adjustment as we don't have "stars" or anyone, perhaps with the exception of Bart who may attract Championship attention. Mind you, getting used to playing in tight stadiums with poorer facilities may take some getting used to. If we are not arrogant, and Lambert will make sure of that, we should be a real contender to go straight up. Jonnosdreadlocks ........ You beat me to it!. Clearly has no intention of being here next year. Drop him and play someone who does. So Bree isn't sure we'll be relegated but is sure we'd get promoted. I think he's got that one completely back to front. I'm not unduly bothered if if takes more than 1 season to return. For me it's that when we return, we return ready, with a young dynamic squad in a much better place than we are now. Said the man to his fellow passengers aboard the Titanic as he took up the last space on the lifeboat. “I put a couple of decent balls in to the right areas and you hope someone will get on the end of them"
The first 10 games or so are going to be pivotal to life in Division 1, for Lambert and team! There’s no denying ‘professional pride’ to date, remains intact, but a ‘winning mentality’ still hasn’t emerged! Any manager worth his ‘salt’would relish working with the ‘potential’ to hand, but the underlying problem with the club has manifested over a decade of continued ‘failures’ and ‘struggles’! This needs addressing and the ‘tide’ turned! With regards to next season take a look at Sunderland last season they were dire and yet they now playing at Wembley and lookije coming straight back. We aren't playong dire and look strong for next season already? COYB I think we will do fine as long as we get a player that likes to score and a defence that can defend..
We certainly need to come straight back because if we don’t we could be down there for quite a while.